Metabolic has completed a study that looks at the potential to turn waste gases from the steel industry into high-value chemicals and fuels. 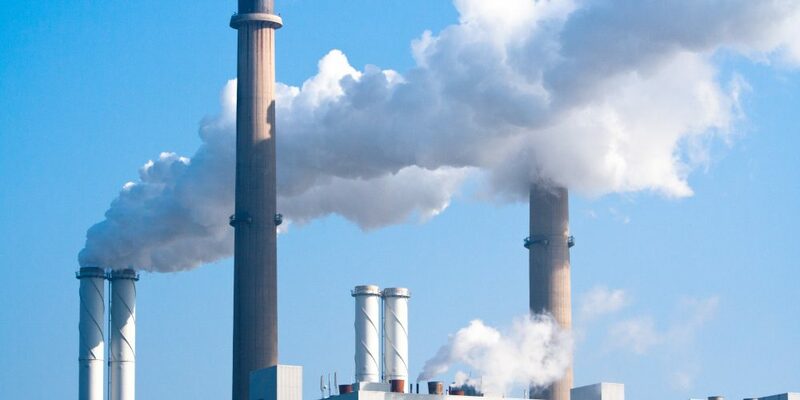 The study – conducted with the University of Groningen and a consortium of industry partners – found that applying the findings in just this one industry could reduce European carbon emissions by 1.3%, as well as relieve pressure on essential biomass feedstocks in generating new chemicals. Implementing the approach across multiple industries could lead to significant environmental improvements, and this work is now being taken forward by organizations innovating new approaches and influencing policy development in Europe. Through our recent work with organisations across the chemicals sector, Metabolic has gained a detailed understanding of the issues surrounding the transition away from fossil fuels as a feedstock for chemical production. One major challenge is that the most transgressed planetary boundaries are closely associated with biomass extraction. 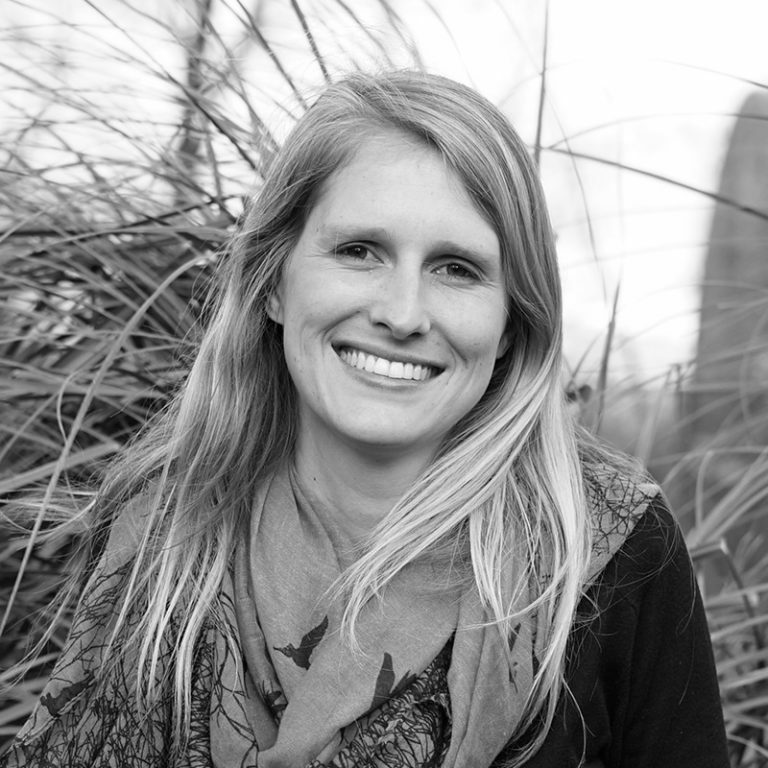 At the same time, demand for biomass is increasing across all sectors, which means that a shift towards biobased production could exacerbate existing pressures from agriculture on natural systems. On the other hand, large volumes of carbon are released into the atmosphere by industry daily. In particular, carbon monoxide (CO) is produced in high volumes as a byproduct of the steel industry. In 2014, around 37.7% of all non-household CO emissions came from the basic-metal industry, resulting in nearly 3.7 million tonnes of CO. At the moment, all of this waste gas is burned to generate energy or released into the atmosphere, which not only contributes to emissions, but also represents a significant missed opportunity. Valuable carbon monoxide and hydrogen found in these waste gases can act as key ingredients in the production of certain high-value chemicals, resulting in more circular and sustainable steel and chemicals industries. To understand the potential opportunities and impacts of waste gas recycling, Metabolic and partners have recently completed a study called ‘CORESYM’, which stands for ‘CarbOn-monoxide RE-use through industrial SYMbiosis’ between chemical and steel industries. Led by the Institute for Sustainable Process Technology (ISPT), the project consortium consists of Metabolic, Rijksuniversiteit Groningen, TataSteel Europe, ArcelorMittal, DOW Chemicals, AkzoNobel and Nuon. 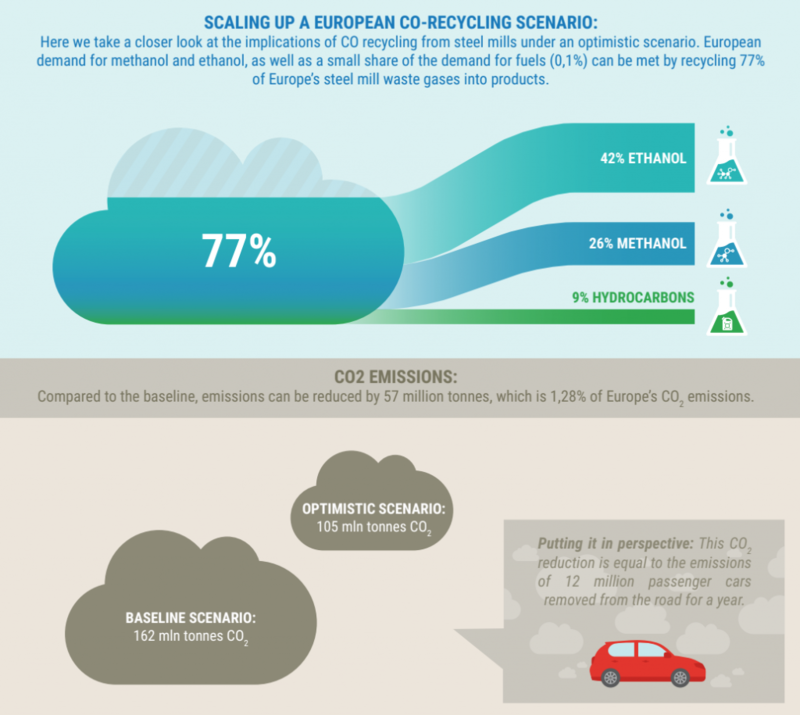 The report looks at the sustainability implications of CO recycling for Europe, specifically with regards to reducing carbon emissions and meeting European chemical demands sustainably. The steel industry generates a sizeable 6.7% of Europe’s carbon emissions. According to the CORESYM study, CO recycling could reduce these emissions by 57 million tonnes, equivalent to a 1.3% reduction in Europe’s carbon emissions. Furthermore, when combined with a complementary process called Carbon Capture and Storage (CCS), European emissions could be reduced by 3%. Looking more specifically at the Netherlands, CO recycling and CCS at just one steel mill roughly the size of the Tata Steel plant in IJmuiden could reduce Dutch emissions by 2.6%. 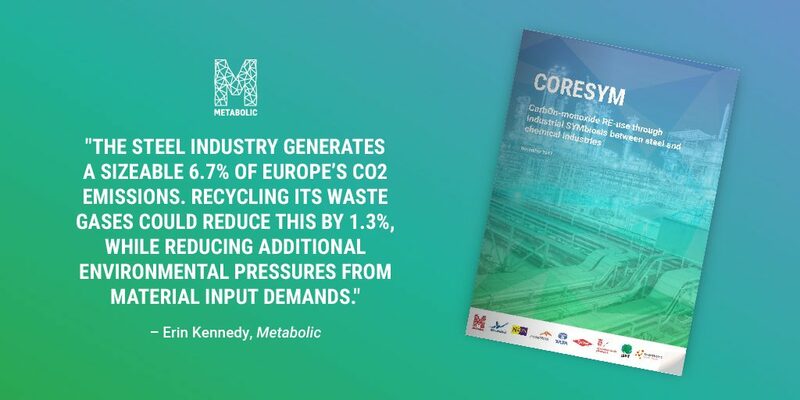 The CORESYM study suggests that, under specific circumstances, Europe could meet its total demand for ethanol and methanol, as well as 0.1% of its fuel, by recycling just 77% of its steel mill waste gases. Waste gas as a feedstock has notable positive implications for the environment in that it can replace other feedstocks such as biobased materials that put considerable pressure on the planet. For example, replacing biobased ethanol with waste gas fermentation could reduce the embodied land footprint of ethanol by 2 million hectares. With numerous manufacturers switching from fossil fuels to biobased feedstocks in recent years, biomass materials are already beginning to see unsustainable levels of demand. Given the increasing pressures on biodiversity from growing biomass demands, for Metabolic the CORESYM study highlights an important alternative to biobased feedstocks. While the study shares an optimistic outlook for waste gas recycling profitability given current technological developments, it cautions that the technologies available for CO recycling are not yet profitable on their own. Large investments are required to scale existing technologies and solve technical challenges, and affordable hydrogen and renewable energy are critical complements in the process. Off the back of these opportunities and challenges, the study provides a clear set of recommendations for policy makers and industry stakeholders as the key actors upon which the future of circular carbon recycling relies. Metabolic will be taking some of this work forward in early 2018 through the launch of a partners program. This program will bring together market leaders interested in driving the transition to a sustainable and circular chemicals sector. More details coming soon, or get in touch to find out more.